Gregory was only two when we realized he was having some neurological difficulties, and our pediatrician cited growing research supporting supplementation with high-EPA fish oil. Since then, we've tried a few options; Ascenta NutraSea hp Concentrated high EPA omega-3 lemon flavor liquid is the best I've found. First, we tried Omega Brite, which had an orange flavor that Gregory didn't mind mixed with juice. However, he was using sippy cups at the time and it would sometimes leak, resulting in a stubborn orange oily stain. Not good. It was also only available online and frequently out of stock. Oh, and it was pricey, as most good fish oil supplements are. When we would run out of Omega Brite, I'd buy Nordic Naturals gel capsules, which we'd have to puncture and squeeze into his "vitamin juice." That was less than ideal. High-EPA is the key for brain function and it's hard to find liquid that has enough concentrated EPA in it. 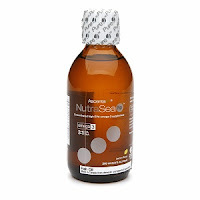 The NutraSea liquid has a total of 2300 mg of Omega-3s, including 1500 mg of EPA and 500 mg of DHA in a single teaspoon! We dose Gregory with 1 tsp twice a day, at the doctor's direction. He used to fight us on drinking the Omega Brite but he never fights us on the NutraSea, presumably because it has no discernible taste in juice. He especially likes it in apple cider. I buy it on drugstore.com, two or three at a time, when they're running big cash back through eBates. It's not cheap at close to $40 a bottle, but that lasts about three weeks. And when I get 12% cash back through eBates, plus 5% in Drugstore dollars, it comes down to closer to $30 a bottle. Now that we have G on such a good regimen, maybe Alex and I will get better about taking our own fish oil supplements! I came across this article on Healthy Child and it was as though I'd written it myself. My "concern" list would be identical, though not in this order (not that she said it was prioritized). Preservatives (including: sodium benzoate, sulphites (sulphur dioxide), polysorbate 60, 65 or 80, nitrites, TBHQ, and BHT/BHA). Let me know if you think anything important is missing. I am not a big soda person, but I love root beer (and birch beer). My go-to when I splurge on it has been Virgil's, which is delicious but pricey and packs a big caloric punch. 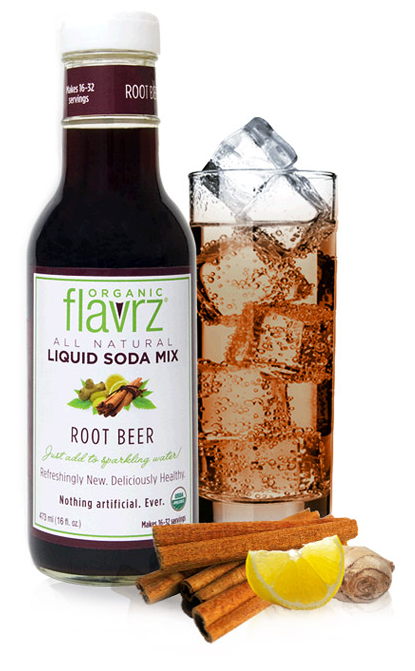 I've blogged about Flavrz before (favorably) so I was delighted to find their organic root beer syrup in my local grocery store. Just add seltzer. 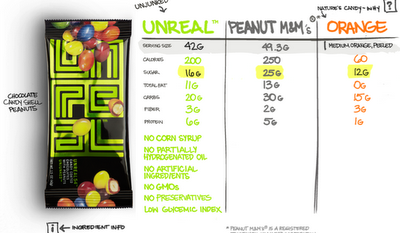 And it's only 35 calories per 8-ounce serving. I had to try it. My husband also happens to prefer root beer but has been sticking to flavored seltzer as he's on a health kick. I had a feeling he, too, would appreciate a more natural, lower calorie option. It's sweetened with agave nectar, which I happen to love in beverages, as well as a little stevia. So, we both tried it and agree that it's an inexpensive, delicious treat. I think it was about $6.50 for the bottle and you get 21 servings per bottle at the suggested dilution. Add five 1-liter bottles of seltzer at $.60 each and you're looking at $.45 per 8-ounce serving. They also make cola and ginger ale syrups. If anyone tries them, let me know what you think. Cheers! If you're a regular here, you know I love Fooducate (the iPhone app that lets you scan products and get a score, reviews and key ingredients). Tonight as I was grocery shopping, I decided to put some of my favorites to the test and got a few surprises I thought I'd share. Kozy Shack Chocolate Pudding—reading the ingredients, I thought it sounded better than Jell-O, since it was made with lowfat milk and only a few other ingredients, all generally recognized. On this one, I was right. It scored a B-, while Original Chocolate Jell-O Pudding scored a C-. I also checked out the Kozy Shack Tapioca, which was a little surprising, only a C+, because it had more sugar (and more calories per serving). Still not terrible for an occasional treat. Boca Burgers. While I realize some people are not soy supporters (as food anyway), the Original Boca Burger is one of the few meatless burgers that tastes good and doesn't have a nasty consistency. So while trying to really watch my caloric intake (spring training for my June beach trip), I thought one would make a nice, quick, high-protein meal. Indeed, it scored a B+, Best in Category, but Fooducate also noted that they contain MSG or equivalent. That's a nonstarter for me, as it's a migraine trigger. Bummed to cross that one off the list. Terra Sweets & Carrots and Sweets & Beets. The Terra chips have always been a favorite of mine, and I thought they were "better" since they were cut from sweet potatoes and other fibrous starches. Both scored great reviews but only C+ because Fooducate deems chips and puffs as having too "little nutritional value for the amount of fat and sodium they carry." I get that, but in moderation, I think these are a good choice and very satisfying for a crunchy, salty snack. Probably too harsh a rating. Buitoni 100% Whole Wheat Four Cheese Ravioli. My kids love these, as well as the whole wheat tortellini and I thought they were getting something reasonably wholesome. Then I scanned it into Fooducate for my rude awakening. The C- score is for many good reasons, the first four being: contains trans-fats even though the label says "0"; it's not actually 100% whole grain; contains MSG or equivalent; and has more than 25% of the daily recommended sodium intake. What!?! This one kind of pisses me off. No more Buitoni anything for me. Lesson on this one: it's got more than 35 ingredients. That should've been a huge red flag that I missed. Quaker Whole Hearts, Lightly Sweetened Cereal. I scanned this, expecting to see a C or so. I was pleasantly surprised to see it was an A-. However it contains BHT, a preservative, which is another migraine trigger for me. Bummer. 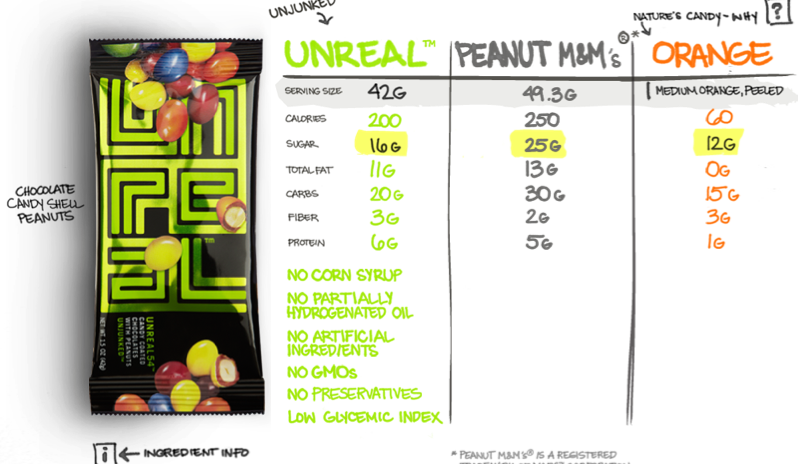 In this case, Cheerios are a better alternative, with the same score, but no preservatives. Not Honey Nut Cheerios (those are a B- because of the 2.5T of sugar per serving) or Frosted Cheerios (also B-) or Fruity Cheerios (C) or Vanilla Yogurt Burst (C+) or Banana Nut (C+). Who knew there were so many varieties of Cheerios? Of course, you'd expect an organic variety such as Trader Joe's Organic High Fiber O's would be higher, but no, because there's more sugar in them (2.5 tsp). 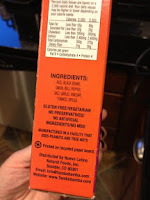 TJ's O's Toasted Whole Grain Oats are actually a better choice, though both are rated A-, because they're lower in sugar. So many choices. If only Trader Joe's weren't an hour away! Lastly peanut butter. I'm sure you expect me to buy one of those organic, low-sodium, oil-separated varieties. I used to buy it at Costco, but when they discontinued it, I took another look at Jif. I always loved its taste and had tired of trying to mix the oil back into the hard rock of peanutty goodness with the natural brands. Regular Creamy Jif is not so great (C+) thanks to its fully hydrogenated oil. Reduced Fat Jif fares even worse with a C. However, Simply Jif Creamy and Jif Creamy Natural are both Bs, even though Simply again contains hydrogenated oil. Confusing! Since I'm choosy, I choose Jif Natural, which tastes great and is just peanuts, sugar, palm oil and 2% or less of salt and molasses. What products do you love or hate based on closer inspection of ingredients? I especially love to hear about great tasting products that are also super healthy. Tonight, I grabbed a box of Cuban black beans and rice, from a brand called TamboBamba. It's "ready in 10 minutes" and the ingredients are super simple (rice, black beans, onion, bell pepper, salt, garlic, vinegar, tomato, spices). It's "gluten-free, no preservatives, no artificial ingredients and no MSG." But is it tasty? Let's just say that Timmy had fourths! It was delicious. Easy to make, even for a busy mom with kids distracting me during cooking. And just the right amount of seasoning that my kids would still eat it and we liked it without "spicing it up." Four thumbs up for this one. And it gets a solid "A" from Fooducate, which I'm learning is uncommon for processed foods. Before you ask where I got it, I must admit I am not sure. I've shopped at Giant, Wegman's, Trader Joe's, Weis, Karns, Fairway and Costco in the past month. I'll try to do some research and report back. 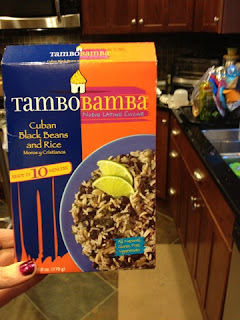 The website is www.tambobamba.com. Let me know how you like it if you try it. 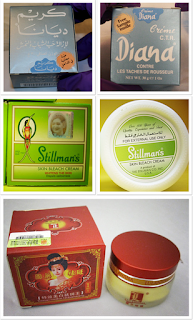 Mercury in Cosmetics: FDA Says Beware! My dear friend Amy pointed out this article on MSNBC, which drew attention to an FDA report on mercury in skin-lightening products. If you are not aware, mercury is very toxic and accumulates in the body over time, causing some nasty health issues. Federal health officials are warning consumers not to use skin creams, beauty and antiseptic soaps, or lotions that might contain mercury. The products are marketed as skin lighteners and anti-aging treatments that remove age spots, freckles, blemishes and wrinkles, says Gary Coody, national health fraud coordinator in the Food and Drug Administration’s Office of Regulatory Affairs. Adolescents also may use these products as acne treatments, adds Coody. Products with this toxic metal have been found in at least seven states. The products are manufactured abroad and sold illegally in the United States—often in shops in Latino, Asian, African or Middle Eastern neighborhoods and online. Consumers may also have bought them in another country and brought them back to the U.S. for personal use. “If you have a product that matches these descriptions (and others listed below), stop using it immediately,” says Coody. “Even though these products are promoted as cosmetics, they also may be unapproved new drugs under the law,” says Linda Katz, M.D., director of FDA’s Office of Cosmetics and Colors. FDA does not allow mercury in drugs or in cosmetics, except under very specific conditions, which these products do not meet. That last part caught my attention. So just what uses *are* acceptable for toxic mercury to be in drugs or cosmetics? I spent about 15 minutes trying to search the FDA site for this information to no avail, but I did come across a terrifying report from 2002 on Phthalates. That's next up. This product fails your Pollution filter because the company that manufactures it does not have significant programs in place to address air, water and waste emissions. However, we found this alternative that passes all your filters. You should check it out! Note: This message is not sponsored. The recommendation is based on your purchase history and the issues you flagged as important. Not sure why this just popped up today, since I have not purchased the kids' bubble bath for ages. It's really interesting because we are out of bubble bath and I was looking for some at Rite Aid today (to no avail; only mass brands were stocked). They clearly can't be related, since I didn't use my GoodGuide app in the store and I didn't purchase any bubble bath, but I digress. I have looked at Mustela products before. Initially, I assumed they were "better" because they were made in the EU. However, they do not fare well in the EWG Skin Deep Database, which is the best resource I know of to evaluate products for toxicity. Mustela products are highly perfumed, and that is reason enough for me not to consider using them for my children. But, since GoodGuide was so emphatic and the have sophisticated analytics working for my benefit, I felt compelled to check it out. Mustela Multi-Sensory Bubble Bath scores a 4/10 (moderate risk), 0 being the ideal. California Baby Bubble Bath - Super Sensitive scores a 1/10 (low risk). I could be wrong, but I am pretty darn sure that I prioritized the toxicity of a product as my #1 concern in my personal GoodGuide profile. I mean, this is clearly my obsession. The fact that they do not have "significant programs in place to address air, water and waste emissions" is less than ideal, but certainly not important enough for me to jeopardize my kids' health. I logged in to GoodGuide to see what other wisdom could be imparted and found that of my Amazon purchases, 33 passed my filter and 18 did not. I'm not hating on GoodGuide; I just had such high hopes for them and they're not living up. I'm going to keep buying my California Baby Bubble Bath, unless I find something with a "0" or "1" rating that is cheaper and/or better. Has anyone else tried the Purchase Analyzer? Do tell! Every now and then I like to remind my one loyal follower (thank you, Jon Evans) that toxicity is not just chemical-related. There's also toxic thinking, toxic behaviors, toxic choices...the list goes on. Today, after I had my hair bleached and otherwise processed to the nth degree (transgression numero uno), I thought, "Wow. I am an educated person and I still allow myself to do a lot of stupid, unhealthy stuff. I should make a list. On my blog. So I can ponder over it but not feel guilty. (Guilt has no real upside.)" 1. Hair color processing. I don't seek out "organic" brands. I don't worry about the effects of the bleach (or dye). I just love the way it looks. Beauty before brains. 2. Putting plastic in the dishwasher sometimes. Yep. I've never wavered on my concern about heating plastic, yet laziness/convenience/germiphobia sometimes gets the best of me (and Alex) and we load them, but always on the top rack only. Duh. 3. Falling back on a nonstick pan. Though the harmful effects of these Teflon-replacements are not completely substantiated, given that safer options exist (stainless, cast iron), it's really just lunacy. Except that some things are HARD to cook in a non-nonstick pan. 4. Buying conventionally grown or hothouse peppers. I know full well that peppers are one of the most-pesticided vegetables, but I cannot deny Gregory his raw bell peppers. And sometimes I either can't force myself to pay the premium (double, usually) for organic or I imagine that hothouse is somehow less toxic, with no proof whatsoever. 5. Ditto on strawberries. With the whole methyl iodide issue in California, you'd think I would stick to organic berries at all costs, especially since Timmy devours them. But Giant always has BOGO on the conventional ones, while the organic ones are half-moldy and twice as pricey, special or no special. 6. Forgetting how bad sugar really is. Somewhere along the way, my mom gave me the book, Sugar Blues and later, I obsessed over Sugar Busters but apparently, when evaluating whole wheat toaster pastries and granola bars, that wisdom flies the coop. 7. Using Scrubbing Bubbles Fresh Brush Flushable Toilet Cleaning Refills. It's hard to be sure what's in these things, but I am pretty confident the blue color is not "natural," the smell is toxic and that flushing something that size down the toilet is not ideal for water treatment plants. But they are very efficient, contain the germs and eliminate mess. I need an alternative. 8. Allowing myself to invest in low-return activities. No, I'm not talking finances here (you can't escape low returns there right now); I'm going all self-help psychobabble on you. I'm a Type A person. I need to feel productive and organized to keep my stress in check and be happy. I too easily get sucked into games, conversations, news, other people's business, etc. And 90% of the time, it does not make me happy, reduce my stress or push me toward my goals. Except for that unbeaten streak I'm eyeing in Words With Friends. I kid, I kid. 9. Not doing enough for my health. Think about this. When Frazier (my poodle, my little love, RIP) was diagnosed with Congestive Heart Failure at age 10, I found supplements online that extended his life three full years. Amazingly, they were commonly prescribed herbals and amino acids that many people take for heart health. Alex and I watched his health completely turn around and yet, with family history of heart disease on both sides, do not take these supplements ourselves. Madness. Or stupidity. We give Timmy and Gregory their vitamins and meds religiously but can't make a point to take a few pills each day. Seriously, this has to change. 10. Being a lazy consumer. Intellectually I know I can vote with my dollars and if more people did that, we'd have enough purchasing power to force real change. Yet I rarely research companies and products before I buy them, especially low-dollar items, even though I have tools like Fooducate, Good Guide and Better World Shopper that make it much easier at my fingertips. I'm getting better about this, but I have a long, long way to go. This was sort of cathartic. I stopped at 10 things, a manageable but ambitious number to address. They are in no particular order; in fact, they are probably in reverse order, which explains a lot. I encourage you to add your toxic transgressions to the list, on Facebook or here in the comments. And then think about doing something better. Because you can. Avoiding flame retardants ... not as easy as it should be! I caught a great article on Healthy Child Healthy World about the chemical Tris, which was voluntarily removed from kids' pajamas in the 1970s because it was found to cause cancer. Guess what? It's still around. A recent study found that 16 out of 20 new baby and children's products tested positive for chlorinated Tris (TDCPP). 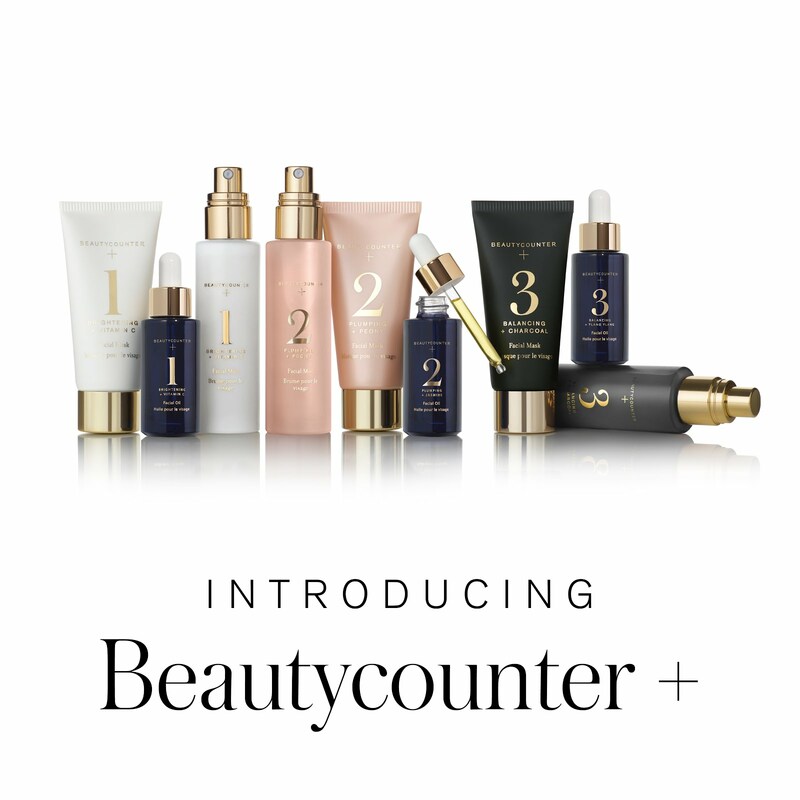 These findings echoed a 2011 Berkeley study which found Tris in 36% of 101 products tested. Need more convincing? "According to the Berkeley study, Americans have 20 times higher blood levels of PBDEs than in Europe [sic]; these chemicals are linked to cancer, thyroid disruption, lower testosterone in men, neurological disorders in children and reduced fertility in women." Very disturbing. Want to do something about it? Get tips from the Washington Toxics Coalition on reducing the burden on your family. Pressure your state representatives to consider chemical reform legislation, like that making its way through the Washington State Congress: The Toxic-Free Kids Act would ban the use of Tris in children’s products beginning in 2014 and discourage manufacturers from replacing one toxic flame retardant with another by requiring them to conduct thorough health and safety assessment of potential alternatives. 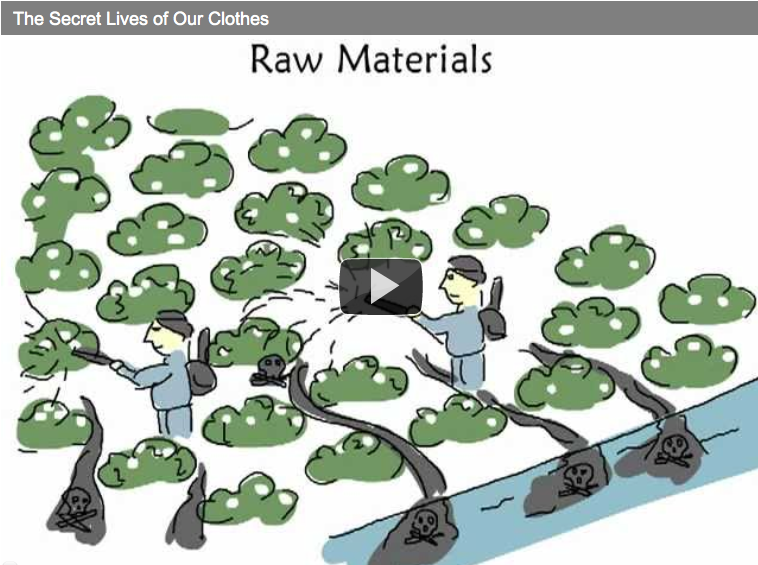 The Secret Lives of our Clothes by Greennovate.org, a China-based sustainability advocacy group. Yes, it's in English. 300 Years of Fossil Fuels in 300 Seconds from the Post Carbon Institute. The Story of Stuff by Annie Leonard of Annie's Naturals. An oldie but goodie. Dylan's Hard-to-Argue-With Political Rant on The Dylan Radigan Show on MSNBC.